​As temperatures outside plummet and our central heating goes into overdrive, this time of year can feel as though there’s no end in sight. When it comes to our beauty routines too, it seems that winter can demand a lot more from the products we’re putting on our skin. Cold air, indoor heat and a lack of sunshine can put the strain right where we can see it - on our face. We are officially in the midst of dry skin season, where flaking, redness and dehydrated skin seem all too common an occurrence. Although a short-term batch of dry skin is almost unavoidable during the winter months, there are still ways you can combat it. 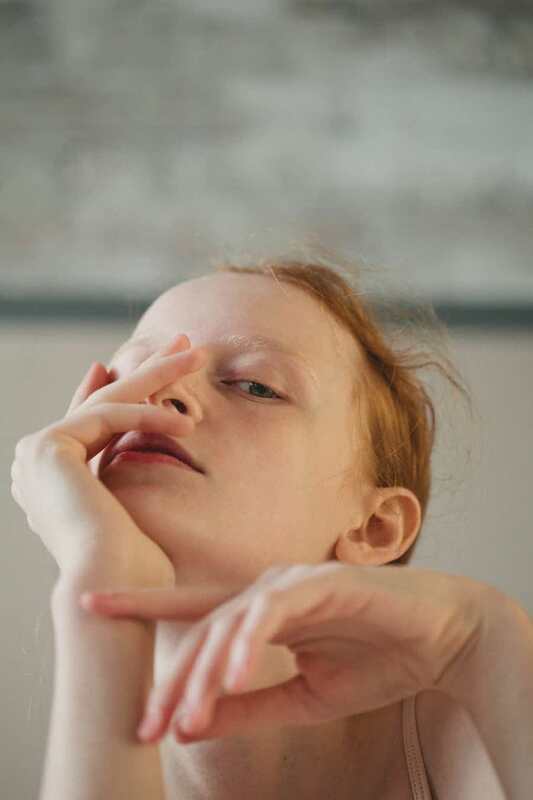 Why is why we’ve turned our attention to the subject with a little help from one of our most trusted skincare experts - Laura Rudoe, founder of Evolve Beauty. Laura knows a thing or too about dry skin, and more importantly, what we can do to get it back to its soft and supple best. There are plenty of reasons why your skin might be feeling drier than usual, and this can happen all year round. However, a combination of low outdoor temperatures and indoor central heating during the winter months, can mean that the rate at which we’re losing moisture from our skin is much more extreme than at any other point during the year. Simply put, the weather is putting stress on the outer layers of our skin, making retaining moisture that little bit harder. Those rich, heavy face creams you may have usually steered clear of are now the sort of formula you want to sooth and soften the skin. Oils as well are a great source of intensive hydration, and each can be layered up to offer the kind of protection you need to face the harsh cold and wind. Chances are you might already be using a hyaluronic acid based product and if not, you’ve probably heard about its myriad of benefits. Gentle and moisturising, this natural acid can be used in high doses and won’t irritate sensitive skin - making it a universal all-rounder. Although we love Evolve’s Hyaluronic Serum all year round, this product is an excellent winter staple. Don’t be fooled by its lightweight formula, the serum packs a hydration punch and can be used morning and evening under a moisturiser for the best results. Although hyaluronic acid is one of the most well-known dry skin busters, there are plenty of other natural ingredients that are worth noting. 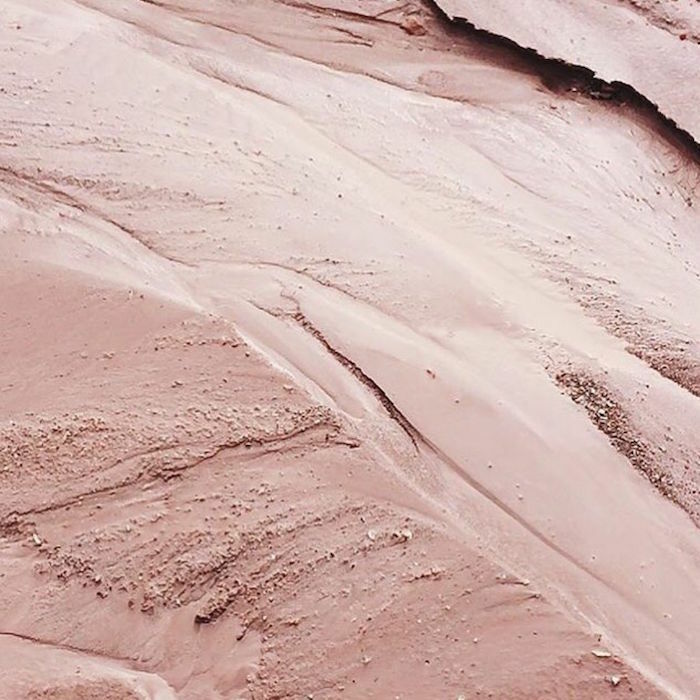 “Emollients such as shea butter, cocoa butter, and organic oils like Argan, Rosehip and Baobab can also help to lock moisture into the skin” explains Laura. Likewise, you might want to reconsider the texture of the products you’re using. 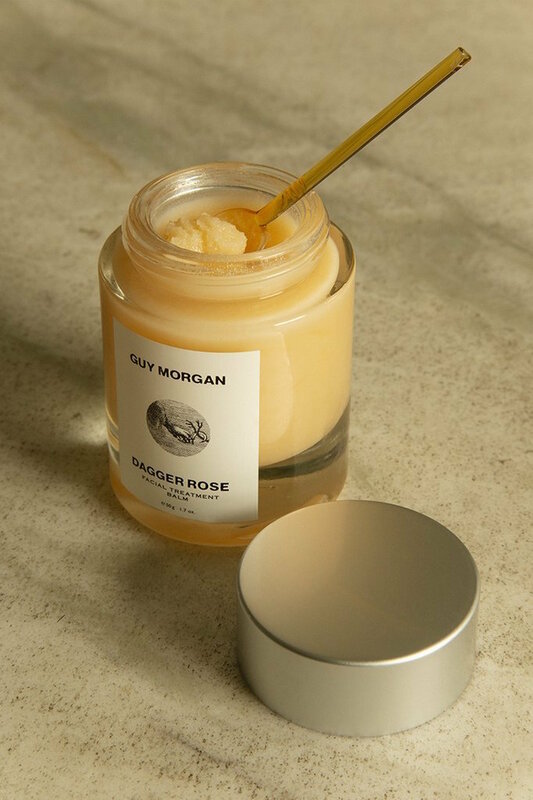 Guy Morgan’s Dagger Rose Facial Treatment Balm contains ultra-nourishing Rosehip Oil and its thick (but absorbent) balm texture is a step up from a regular moisturiser. Shea butter forms the base of this product, meaning its specifically designed for those areas of intense dryness. Although the idea of a piping hot bath in subzero weather might seem all too tempting, they are perhaps best kept in moderation, especially if your dry skin is flaring up. Incorporating some light exfoliation a couple of times a week is another hydration trick. Gently buffing skin with a damp muslin cloth will slough away dead skin, allowing your serums and moisturisers to penetrate deeper. Last but not least, give some extra care to your overall wellbeing if your winter dry skin is being persistent. “Long-term causes of dry skin can be due to essential fatty acid deficiencies” Laura concludes, “To completely avoid dry skin, try to consume plant-based sources of omega 3 such as flax and hemp seed and also try to eat oily fish, like salmon or sardines twice a week.” Walnuts, olive oil and avocado are also excellent sources of healthy fats.